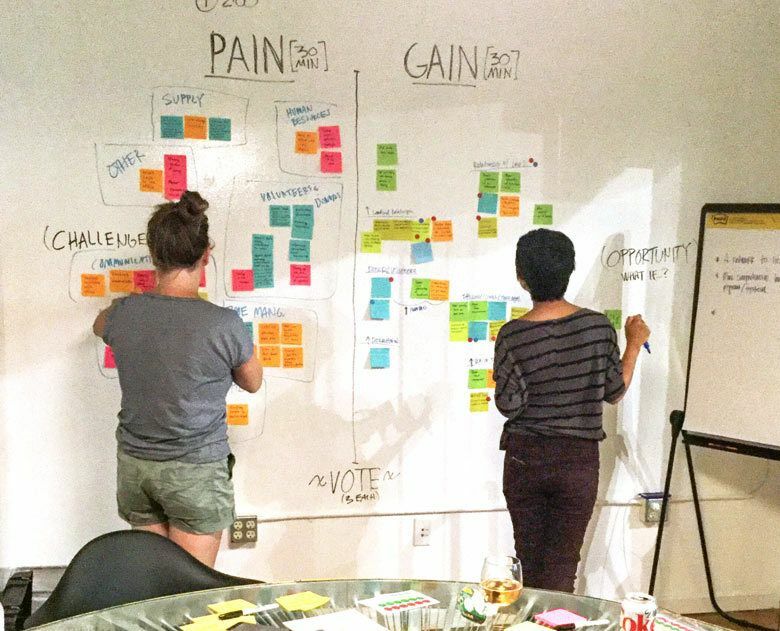 Amplified kicked off its first annual community design project in August. 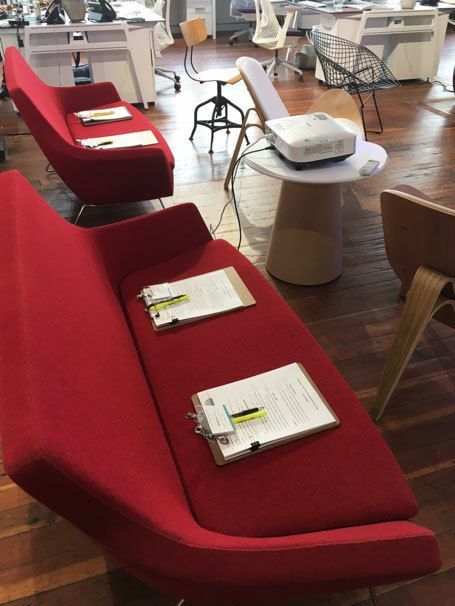 The project got started by inviting Portland area non-profits that center around providing services to those experiencing homelessness to take part in a half day ideation session. 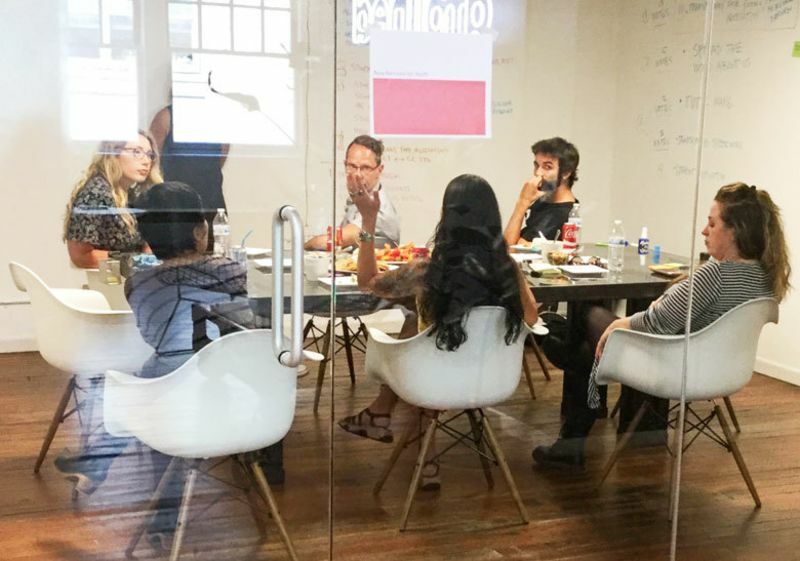 During the session, Amplified teamed up with members of each organization to develop a pitch for a service that could benefit their organization. Four hours later, the white boards were full of ideas and each team had a pitch in hand. The pitches were delivered the following day to a selection committee of community members. The committee evaluated each project’s impact, feasibility and creativity in solving the proposed problem. The winning pitch was JOIN’s idea for an app that helps to improve communication between landlords and the JOIN staff when events (bad or good) with tenants occur. In doing so mitigate problems before leading to eviction and celebrate progress towards stable housing. The successful outcome of the project will lead to the continuation of providing permanent housing for at risk tenants and people living on the streets. Although the event went off without a hitch, there was a lot of legwork put into reaching out to potential participating organizations. Since this was our inaugural project, there was some skepticism within the community, raising questions such as “Wait, you are doing this for free? No strings attached?” Yup, that’s right. We are very grateful to the organizations that committed. A big thanks goes to JOIN and New Avenues for Youth for having the confidence in us that it would be an enjoyable experience. Next comes the hard work. We have started collaboration with JOIN to create a fully designed, functioning and user-tested experience to be launched by the end of the year. Only one pitch was selected, but no one left empty handed. Amplified extended the offer to provide a free ideation session to New Avenues for Youth’s to help them identify and improve some of their internal workflows. This year the focus was on organizations providing services to those experiencing homelessness. In the subsequent years, we hope to focus on other issues that benefit social good, such as education, the environment and transportation. We are excited to have our first project and look forward to what other projects will come! Stay tuned to hear updates on the project’s progress and we hope you will join us for the launch when the day arrives!